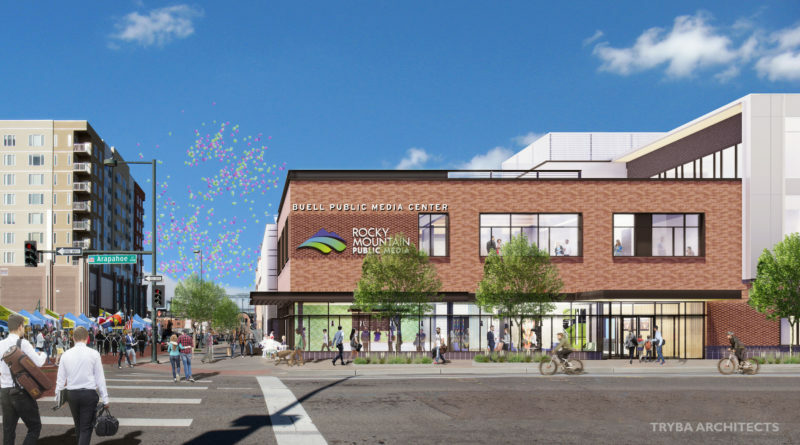 The Buell Public Media Center; the headquarters of Rocky Mountain Public Media, is being built on the corner of 21st and Arapahoe in Denver. 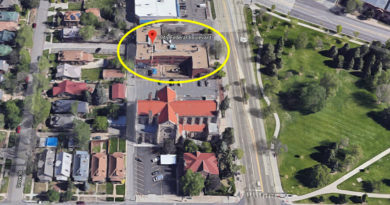 As the future home of both Rocky Mountain PBS and KUVO-FM Jazz radio, the building program called for some 63,000-SF of space for use as production and performance studios, a community media center, offices, conferencing, and public engagement areas. 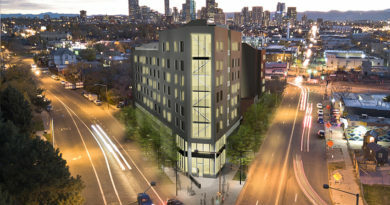 Community embrace is an important part of the client’s organizational objectives and siting the building at the nexus of five district in-town neighborhoods – Five Points, CBD, LoDo, Upper Ballpark, RiNo – was a great first step. 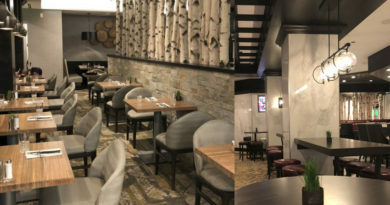 Incorporating a significant volume of ground-floor transparency is intended to open the building to the public and even offers a direct peek into one of the performance studios. 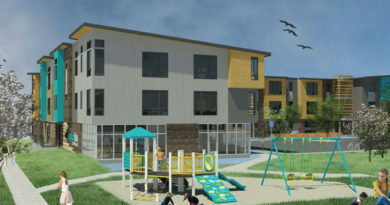 Mortenson Construction is leading implementation and The Wells Partnership is acting as the owner’s representative as construction marches toward the public opening, which is anticipated in early 2020.